Happy Friday! It has been yet another busy week here, I hope you all had a good one! Today I'd like to introduce you all to a new sponsor of mine, Fabric Spark! It's a shop based in Canada, and is all about loving fabric and seeing it as inspiration. The owner Daryl is super sweet and buys what she loves, which usually means she wants to make something each time new fabric arrives in the shop! Fabric Spark has a great selection of fabric, with lots of prints we all know and love, and some really awesome prints that are a little less common. Here are a few of my favorites that I hadn't seen before! Fabric Spark is having a summer sale this week, with 25% off any purchase of $50 or more until midnight on Saturday using the code "Summer Sale"! Make sure you check it out. 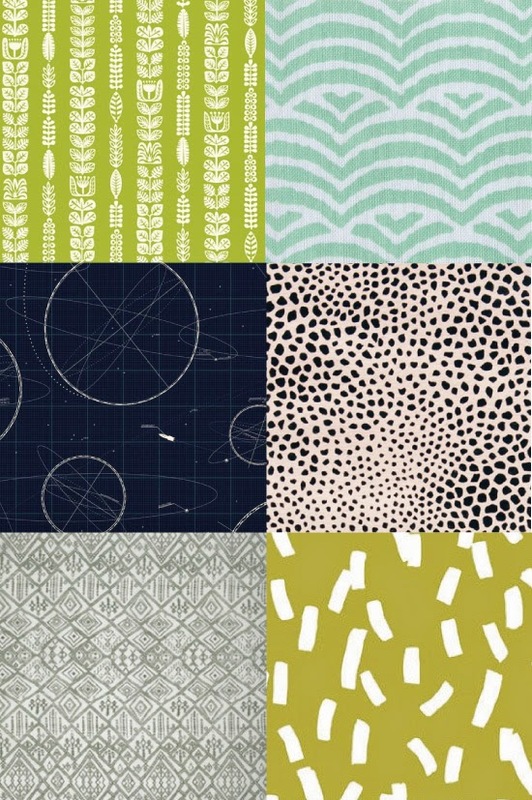 I had the opportunity to curate a bundle for the Fabric Spark shop recently, which was fun! You can find it here. I love those Dreamin' Vintage prints mixed in with some really graphic blenders! Today Daryl is offering the chance for one of you to win this exact bundle! To enter, simply comment on this post. As usual, followers get an extra entry by leaving an additional comment. If you follow Fabric Spark on any social media (Facebook, Instagram, Twitter) you can also get another extra entry. Please make sure to leave an email address so I can contact you! I'll choose a winner on Monday, 7/21. Update: This giveaway is now closed. Congrats to our winner, Ronnie! Thanks so much to Fabric Spark for sponsoring my blog, and to all of you for supporting my sponsors! Hope you have a great weekend! I follow your blog with feedly! I like Fabric Spark on Facebook. HAPPY TO FOLLOW BIIJOU LOVELY ON BLOG LOVIN' ! HAPPY TO FOLLOW FABRIC SPARK ON FB ! I love the interesting fabrics you've chosen for the bundle. Wonderful colors! thanks for the giveaway. So pretty!!!! Thanks for the chance. Lovely fabric grouping. Thanks for the chance to win. Following Fabric Spark on FB. Thanks. Oh gorgeous fabrics :) What a great giveaway!!! I follow Fabric Spark on FB :) Happy Friday to you!! I am a follower :) Thanks for the chance to win yummy fabrics! I love your colors, wonderful. I follow on FB and Bloglovin. 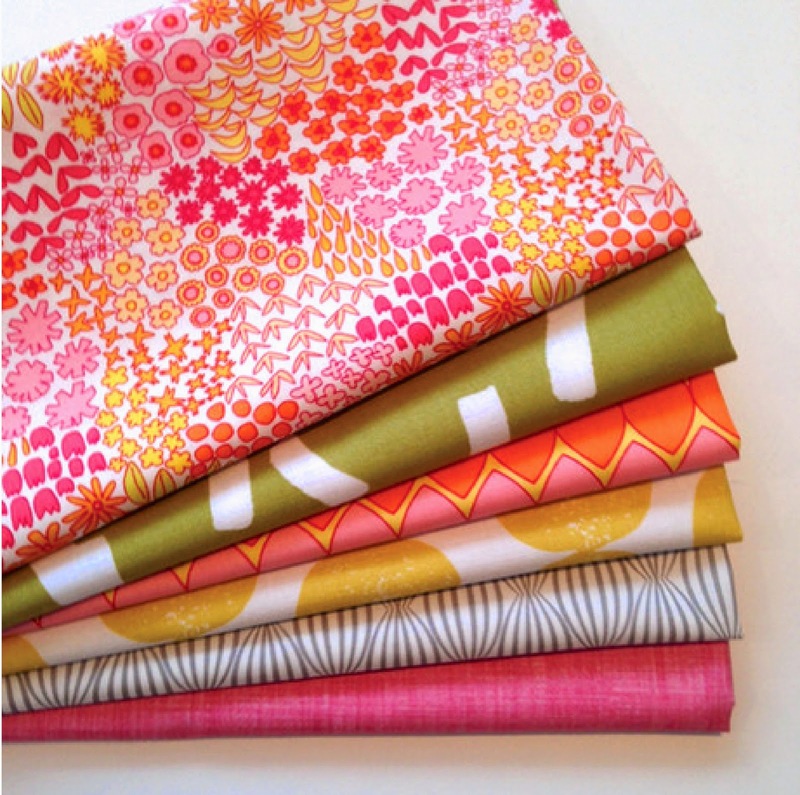 I love love love Jeni's new fabric and that is one pretty piece! I'm one of your happy followers. I liked Fabric Spark on FB. Your choices for the bundle are lovely. This is a great giveaway. I'd love it. You have chosen some very pretty fabric patterns and colours forbtyhis bundle... I really love it!!! I am already following you via Bloglovin'!!! Thanks for the chance!!! I follow Fabric Spark via FB and Bloglovin' - thanks for a bonus opportunity!!! The bundle is lovely! The green really adds interest to the mix of colors. Ooh, Holly - that bundle! I've been loving the vintage trend and want to make something in these colors. Thanks for the giveaway! that's a beautiful bundle you put together. Beautiful choices! I also follow on Instagram! Lovely combination... such spring-y colours! I follow FabricSpark on Bloglovin! Oooooooh!! Love this bundle of Summery colors!!! I love the bundle you curated! It has such a nice mix of colors & patterns! I follow you thru GFC. I follow Fabric Spark with FB. Perfect summer bundle! Great mix of pattern and colour ( I can never resist pink and orange together ;o). I like Fabric Spark on Facebook. Thanks for the chance to win this great bundle! I follow Bijou Lovely via Bloglovin. Thanks for all the inspiration! I love your circle quilts. Thanks for the chance to win this bright cheerful fabric! It would be great for a summer quilt. I like Fabric Spark FB. I follow Bijou Lovely on FB. I love the Blast from Rocket Age! I love the bright colors! Thanks for the giveaway! I follow Bijou Lovely on FB as Kathy Newsom Davis. I follow Fabric Spark on twitter as @kdavis52. I love the bundle you created! I follow fabric sparks blog and am on their mailing list! Wow - what an awesome give away! Thanks! I follow Bijou Lovely by email. I love the colors chosen. Love those beautiful bright colors! Yes, I am a fabric addict! Thanks for the chance! That's so pretty, thank you for the giveaway! I follow you in my RSS feedly, thank you again! I love this bundle. Thanks for the opportunity! What beautiful color choices. Thankyou for the chance to win. I'm new to your blog so now I follow you by email. This is the first time I heard of FabricSpark. I now follow on Facebook. These fabrics are amazing. Thanks so much. Beautiful fabric, especially the top floral. It reminds me of the 60s! Thanks. Love this bundle. Very fresh and summery looking. I follow Fabric Spark on Instagram and Facebook. I also love that Blast from Rocket Age. Yummy colors! Thanks for the giveaway! I love that Rocket Age print. I follow by email. Matsche.christine@yahoo.com. I follow Fabric Spark on Twitter. I follow Fabricspark via facebook. Great bundle. I love the colors! Thanks for the chance! I love the green you chose! I do follow via email.Have a fun weekend! I love the orange colours in the gorgeous bundle. Thanks for a great giveaway. I follow you on Bloglovin. I so happy to see more Canadian Quilt shops! Lovely bundle. I love Dreamin' Vintage, such great prints. Lovely bundle! I really like the "something extra" you added to Dreamin' Vintage! ...and I follow via email. I follow via e-mail. Also I am a yooper and Steve Holmes aunt. Great bundle! I love the colors. Thanks for the chance to win this bundle. What a pretty bundle. Love those combinations. Love the colors in this bundle! Some of my favorite colors. Wow, this is a bundle of inspiration. Love that rocket age print! I follow you with my Chrome Slick RSS feed. Thanks for the chance to win! Love the Waves of Green Tea IceCream. Wow they do offer many unique prints. So thank you so so much for sharing Fabric Spark.